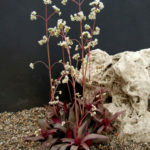 Crassula orbicularis var. 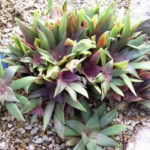 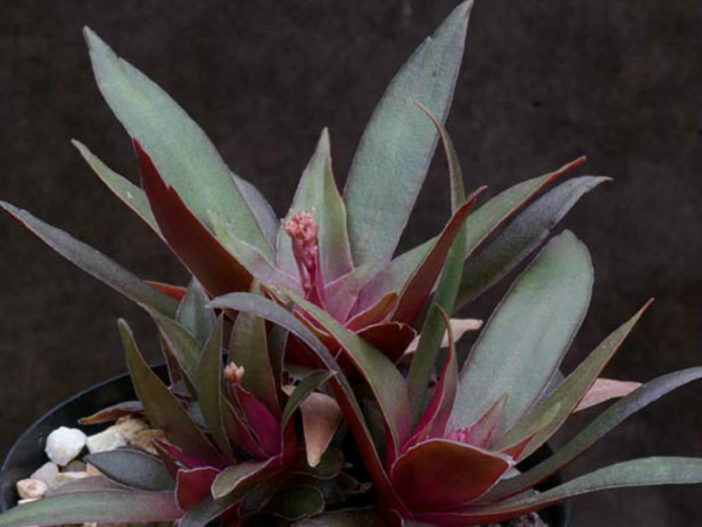 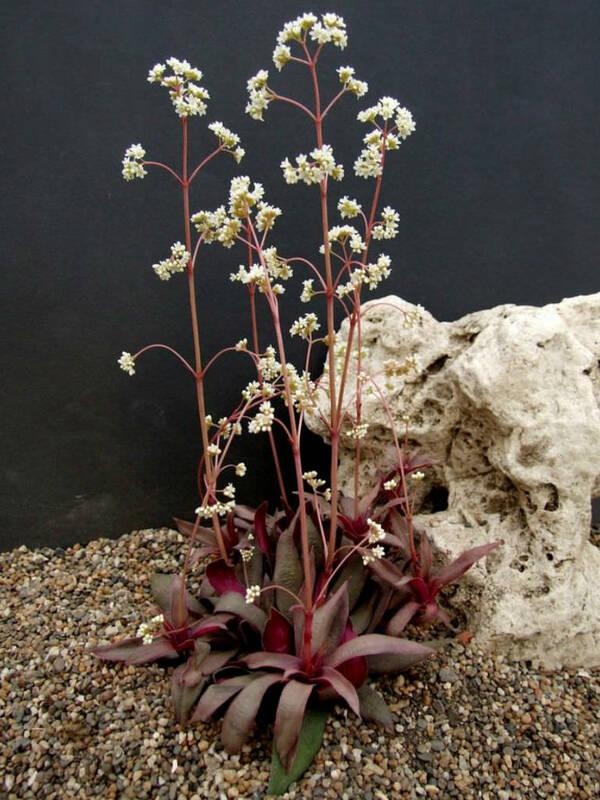 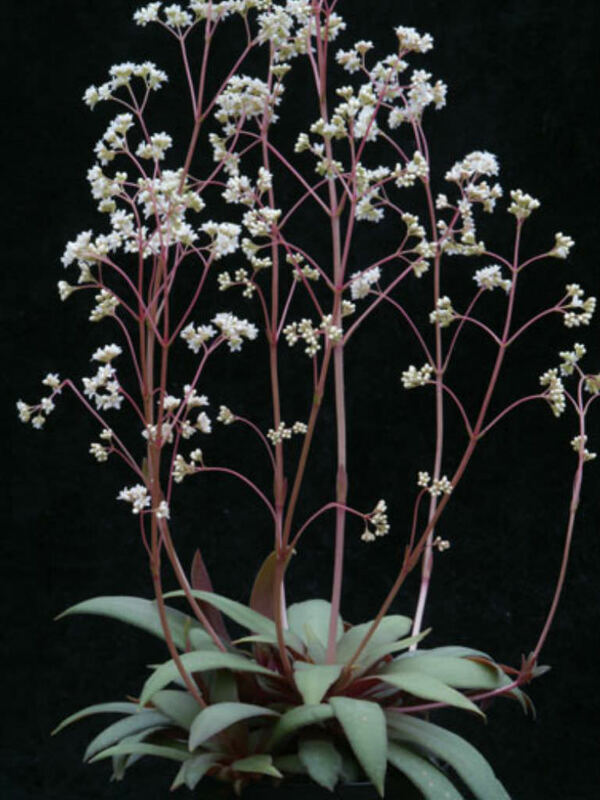 rosularis is a clumping Crassula with green flat leaves, purple on the lower face, with ciliate margins and acute tip. 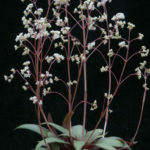 Terminal ascending inflorescence is up to 8 inches (20 cm). 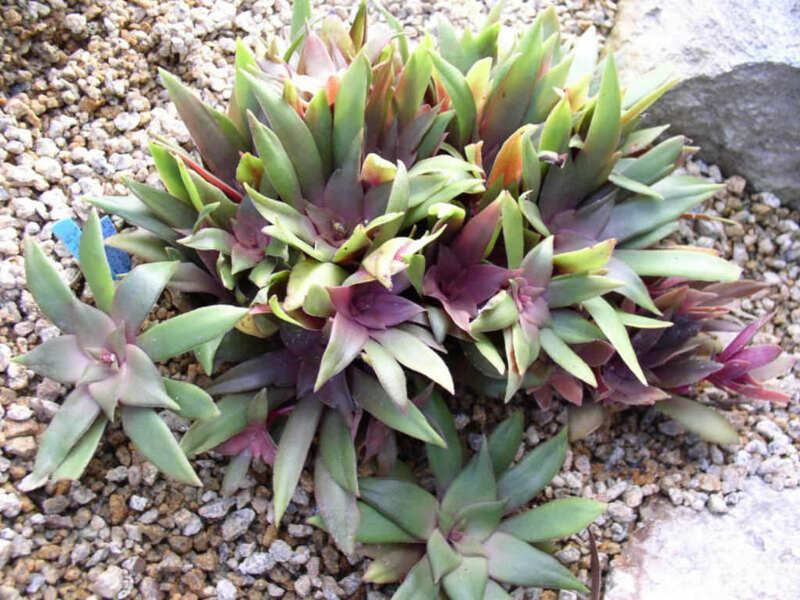 The whole plant becomes more purple when stressed in hot sun or in cool temperatures.